Scientist.com, the world's leading marketplace for scientific services, and Global Genes, a leading global rare disease patient advocacy organization, announced that CureDuchenne won a prize package valued at $50K at the “RARE Battle of the Brains,” a scientific pitch competition held in Irvine, CA on Sept 14, 2017. CureDuchenne is a Newport Beach, CA-based company recognized as a global leader in research, patient care and innovation for improving and extending the lives of children with Duchenne muscular dystrophy. CureDuchenne’s Founder, Debra Miller, impressed judges with a polished presentation and heartfelt narrative on Dr. Eric Olson’s CRISPR/Cas9 gene editing research that could be transformational for Duchenne patients. Miller and her husband Paul founded CureDuchenne after their son was diagnosed with the crippling disease. From creating a one-of-a-kind Duchenne-specific physical therapy program to funding human clinical trials for new drug discovery, CureDuchenne has brought the fight to Duchenne at every level. The “RARE Battle of the Brains” pitch competition capped off the first-ever RARE Partnering and Investor Forum, which was part of the Global Genes’ 6th Annual RARE Patient Advocacy Summit, the largest event assembling rare disease patients, families and stakeholders worldwide. The competition featured eight promising early-stage innovators from biotech and academia: Myos (a subsidiary of Boston Children’s Hospital), Orphagen Pharmaceuticals, Cincinnati Children’s Hospital, Chameleon Biosciences, Boston’s Children Hospital, Circumvent Pharmaceuticals and eventual winner, CureDuchenne. Varying rare diseases addressed through entrants’ research included Duchenne muscular dystrophy, Batten disease, adrenocortical cancer and Hemophilia A and B, among others. Morrie Ruffin, Manager of the Alliance for Regenerative Medicine, hosted the event, and the esteemed panel of judges was comprised of 5am Ventures’ Kush Parmar, Shire’s Toby Freyman, Graeme Martin of Hatchbox Consulting and Jeremy Springhorn of Road’s End, all of whom presented at the RARE Partnering and Investor Forum. To see a full overview of the event, click here. 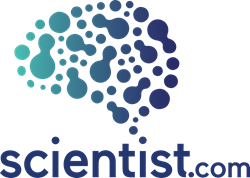 Scientist.com is the world's largest scientific services marketplace. The marketplace simplifies research sourcing, saves time and money and provides access to innovative tools and technologies - while maintaining full compliance with an organization’s procurement policies. Scientist.com operates private marketplaces for most of the world’s major pharmaceutical companies and the US National Institutes of Health (NIH). Visit scientist.com to learn more. Global Genes® is a leading rare disease patient advocacy organization that serves the needs of patients and families touched by rare and genetic diseases. Since 2009, under the unifying symbol of HOPE, the Blue Denim Genes Ribbon®, Global Genes® has been building awareness, developing patient-focused education and advocacy tools, and funding patient care programs and early investigative research. For more information, visit http://www.globalgenes.org. Join the RARE conversation @GlobalGenes on social media. CureDuchenne was founded in 2003 with a focus on saving the lives of those with Duchenne muscular dystrophy, a disease that affects more than 300,000 boys worldwide. With support from CureDuchenne, nine research projects have advanced to human clinical trials. CureDuchenne also is the innovator bringing physical therapy and standard of care to local communities around the country through CureDuchenne Cares. For more information, please visit CureDuchenne.org and follow us on Facebook, Twitter, Instagram and YouTube.